First times can be exciting, scary, full of anticipation and occasionally disappointing. 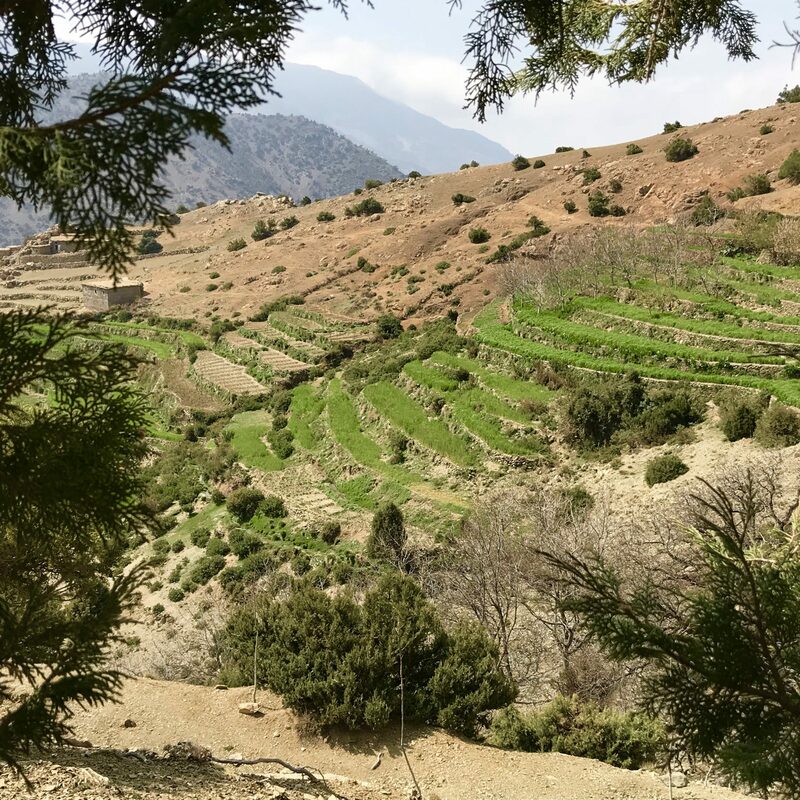 My first time leading in Morocco was all of that – and more!! 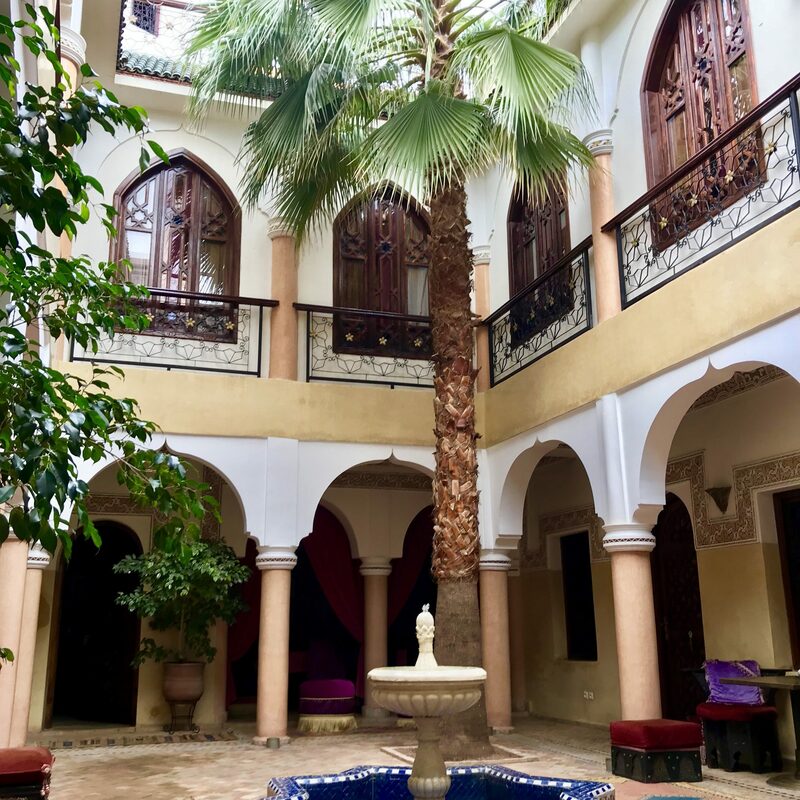 Let’s start with the EXCITING…….. I’ve always wanted to visit Morocco. I had high expectations before visiting, and I was not disappointed. 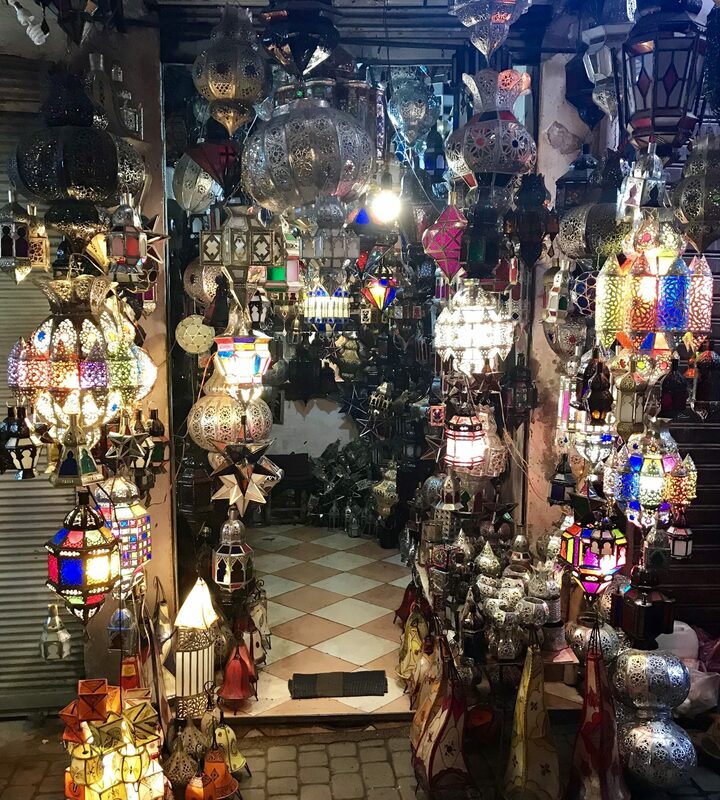 Stunning souks, bartering in the bazaars, a cacophony of cultures and a mind-boggling tour through the maze of sellers in Marrakesh left me smiling and laughing. Once you embrace the chaos, it becomes an experience that will never be forgotten. 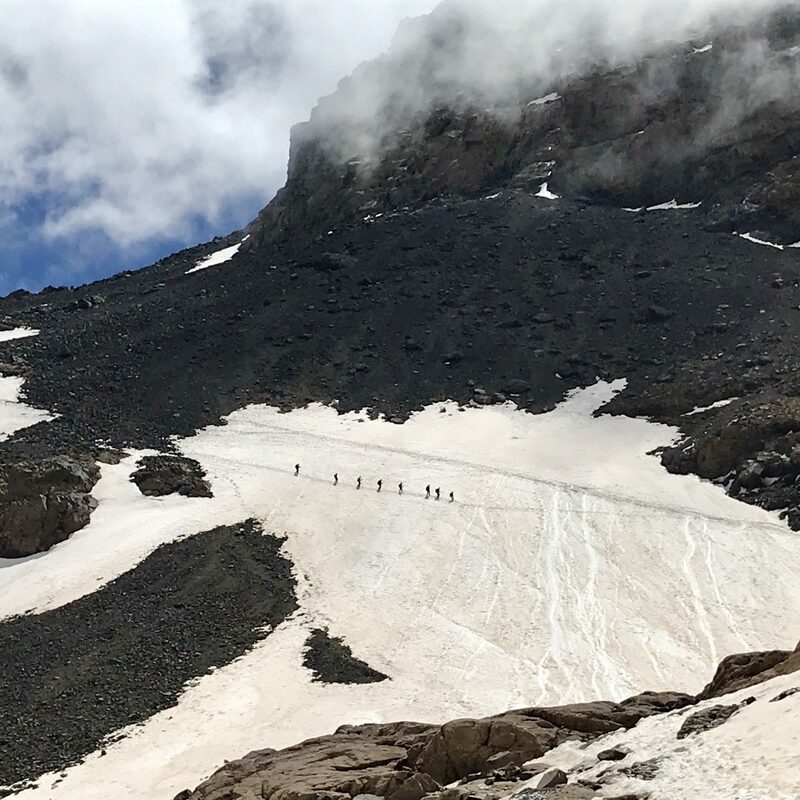 SCARY – A stunning, snowy traverse over a 45 degree slope with a group of trekkers wearing crampons for the very first time – A few of them even overcame a crippling fear of heights, and of the unknown, to tackle that slope with gusto. They know who they are and what they achieved. They showed steely determination and an overwhelming desire to defeat their fears. We traversed in groups of 5, each team taking their time to follow in the footsteps of the person in front, it was a lot to ask of first time crampon wearers, but each group further cemented the trail for the next. ANTICIPATION – what can I say? I have high standards and have come to expect only the very best from my trips with 360. As a client you always want the creature comforts thrown in, even when you’re supposedly ‘roughing’ it on a mountain. To be fair, we all know that you never really ‘rough’ it on trips organised by them though! This time around was no exception. From lunch on top of a mountain, surrounded by stunning scenery that sprawled in every direction, to the overnight Refuge accommodation and the glorious Riads, 360 once again went above and beyond to provide their clients with a truly immersive Moroccan experience. Then there was the anticipation of being a first time Leader. Whilst I’m an experienced Expedition Medic, this was my first time Leading, and I put a lot of pressure on myself to ensure that everyone had a really enjoyable trip. I haven’t heard anyone complain, so I’m assuming I did an ok job!! DISAPPOINTING – This trip? Not by a long shot! On summit day I worked hard to support and encourage the team and they responded by digging deep and put on a serious display of fabulousness. We had a very successful summit, with the majority of trekkers making it all the way up. To celebrate there was plenty of Penguin Sliding (aka glissading) back down from the summit! I did have moments when I felt a smidge disappointed at not being on top with my team, but the role of Leader and Medic means that the safety and well-being of your group lies firmly on your shoulders, even if that means giving up your summit in exchange for theirs. 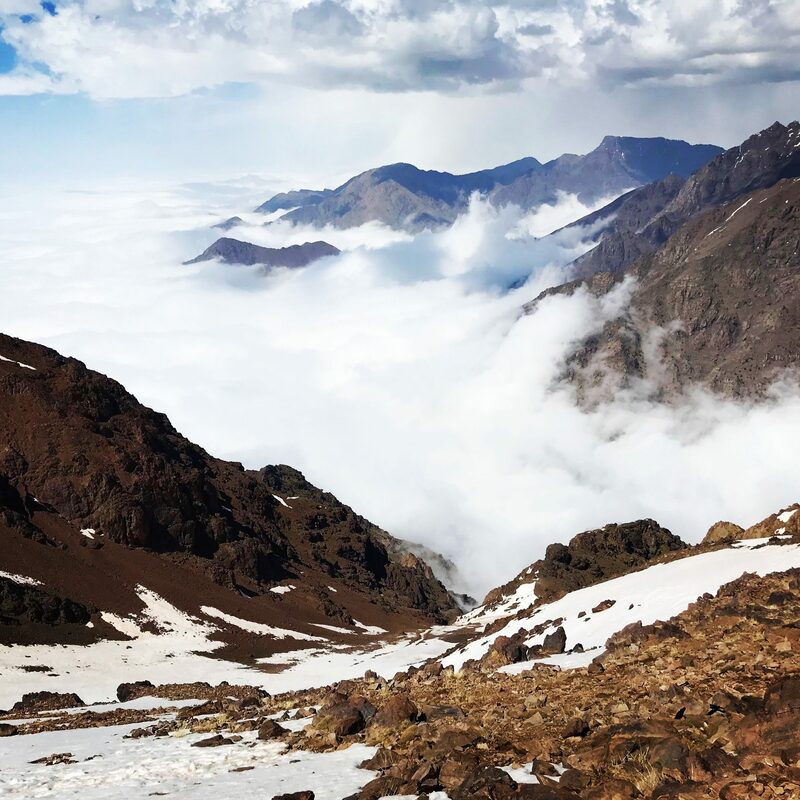 Having just been told that I am the right combination of bossy head girl and caring mother figure by one of my team, I think I can safely say that Toubkal was a success! If you want to join me on my next exciting adventure with 360, please drop them a line and hopefully I’ll see you in Nepal in November!! Competition Time – Win Win Win!